Every time I read this, I think to myself, “A solid level of general strength” should be bolder and five times as large. And then I think, this idea of general strength needs to come with a few qualifiers. Of course, you could do some bodybuilding-inspired weight training: chest and back, arms and shoulders, leg (woohoo, leg day!) with some abs thrown in for good measure. But I think we all know that approach doesn’t fill all of the gaps, so to speak. If we were to use the shoulder as an easy example: around this joint, there are muscles with the potential to exert force on the joint in several directions. I realize that there are situations where blindly pursuing balance may not be appropriate—this is why we assess first. Nevertheless, circus involves a lot of pulling down. We could call this vertical pulling. But what about vertical pushing? If your pulling muscles are stronger than your pushing muscles, that’s going to have an impact on how “centered” your joint is. Doing your push-ups? Great! What about horizontal pulling for the same reason as with the vertical combo. 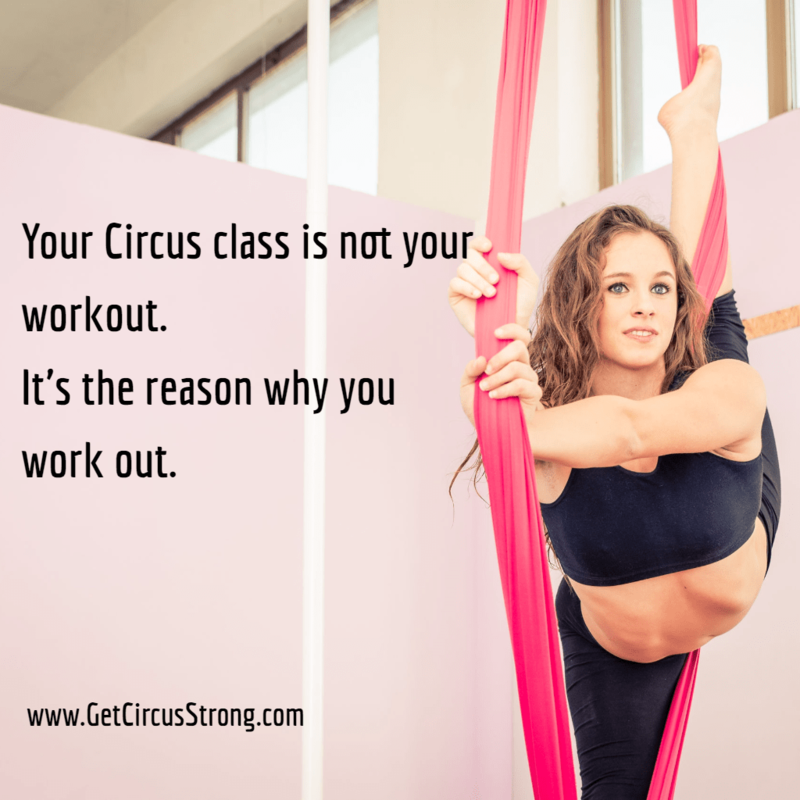 Actually, it’s a little bit more complicated that than…but the basic idea still holds: if your circus training involves working on certain movement patterns to the exclusion of others, this will create an imbalance. Over time, those imbalances can lead to problems (like uneven wear within a joint). This thought process also applies to your lower body. Some movements are more knee-dominant while others are more hip-dominant. Some can be described more as pushes and others as pulls. Your strength-training program should aim to maintain balance for your body. Do you train your drops on both sides? That’s even trickier, because of the way that impacts your core and your hips. Those kinds of imbalances make for cranky hips or low-back issues (or other fun stuff). An exercise pairing that is a favorite of mine for circus artist-athletes is the chop and the lift. There is so much wonderful-ness in each of these because of the way they train the diagonal connections between shoulders and opposite side hips through a stable trunk. It shouldn’t take much to imagine the numerous ways this kind of connected strength is valuable for circus. It’s worth noting that I usually program each of these on different days. Neither of them by themselves are “the key” to balanced strength training, but training these diagonal patterns is a pretty big deal. Circus is awesome. You love it. …which means you’ll want to get strong and stay strong. For all of the above reasons and more, I’d say it’s time to start picking up heavy things.